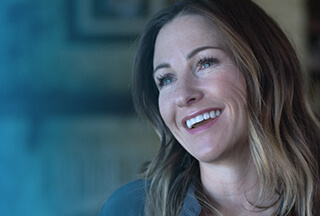 Account Manager for Customer Service at Dell Inc.
Dell provides the technology that transforms the way we all work and live. But we are more than a technology company — we are a people company. We inspire, challenge and respect every one of our over 100,000 employees. We also provide them with unparalleled growth and development opportunities. We can’t wait for you to discover this for yourself an Account Manager for Customer Service located in Draper, Utah. Dell customers expect great things from both our products and our services. Account Services Management is all about managing and overseeing seamless service delivery processes. It’s a hugely varied field of work. Processes range from incident management to change management, from configuration management to customer management. The team makes sure disputes and technical issues are resolved. We also provide excellent communication to the customer around every activity – from the tactical to the strategic. Under limited supervision, is responsible for service account management in a set of assigned accounts. Builds and maintains an active professional network in order to facilitate communications and information transfer. Develop and lead monthly business reviews to customers via teleconference. These reviews include, but are not limited to, SR history, outstanding service requests, contract status, site information updates, connectivity status, microcode levels, technical advisories, planning and coordination of resources, and planned activities. This individual will also be responsible for analyzing the data and providing detailed recommendations based on the data presented. Responsible for managing all complex service matters, including open SRs with a high importance on Sev 1s s to ensure that the correct business units are assigned and responding in a timely manner. Responsible for ensuring that the value-add of the program and their service is communicated and accepted by customers, assuring the customer renews annually. Work in a highly matrixed environment and develop relationships across DELL EMC to provide the best possible customer experience. Demonstrate strong leadership during crisis situations. Assist in the mentorship of new Customer Service Advocates to ensure that DELL EMC best practice and methodologies are adhered to on a consistent and global basis. DELL EMC Proven Professional Certification desired. Knowledge of data center operations and storage technology foundations desired. Prior Account management experience required. Must be willing to carry a communication device. Travel time and hours outside of traditional work hours may be required. On-call rotation and weekend work may be required.